A problem with your heating system is no problem for Perfect Temperature Control. 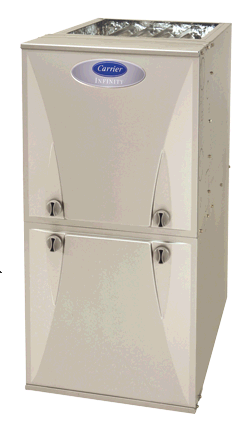 We handle any difficulty with all makes, models, and ages of furnaces, boilers, or heat pumps. Our factory trained professionals draw from an extensive inventory of genuine manufacturer’s replacement parts and state-of-the-art diagnostic equipment to identify issues and solve them then and there. We arrive on time and prepared to handle the scope of the job, eliminating the frustrating wait for a tardy technician and disruption of multiple house calls. Rest assured, our licensed and certified professionals respect your home and property, protect against damage, and complete conscientious clean up. 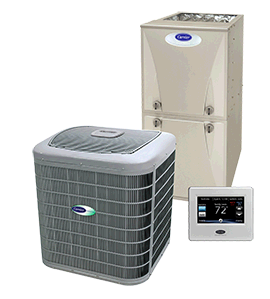 For a higher quality of service in The Greater Chicagoland Area, call on the dedicated specialists from Perfect Temperature Control. At Perfect Temperature Control, it’s not enough to restore operation of your heating equipment. We find the right solution, and deliver more than just comfort for today. Through meticulous inspection and attention to the system as a whole, we offer cost-effective recommendations and sustainable performance. We keep you warm no matter how cold the temperature drops, or how long winter lasts. With over thirty-five years of experience, we recognize the importance of reliability, longevity, and efficiency. By doing the job right, we save you time, money, and aggravation. We protect your safety and your investment. As a Carrier Factory Authorized Dealer, our team is trained in leading technology, product development, and proven procedures. We are always available to you, 24/7, with Emergency Service across Elk Grove Village, Lake In The Hills, Barrington, Deerfield, Elgin & Arlington Heights. Our No Breakdown Guarantee is the answer to your total satisfaction. Why schedule seasonal maintenance for your heating system? All major manufacturers recommend it and the majority require it for continued warranty coverage. Your HVAC equipment accounts for around fifty percent of your annual household energy costs. Repair service is normally triple the cost of preventative upkeep. You can choose a time that works for you rather than answering to a sudden breakdown in the middle of the night. If you’re still not convinced, the benefits keep right on adding up, in cost and time-savings month after month, year after year. And when you trust Perfect Temperature Control with the essential maintenance of your heating equipment, we are punctual, professional, and ensure maximum rewards.